Listed below are the most likely reasons behind each street name in the city, though some of the street names have changed through time and some of the original reasoning for certain names have been lost entirely. 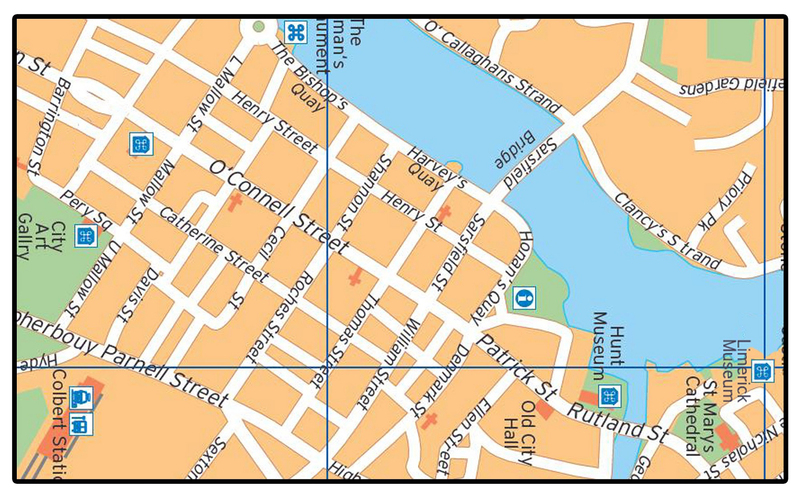 Many of these street names did not appear in Gerry Joyce’s ‘Limerick City Street Names‘. Where possible a photograph of the street has been added as well as a link to the street on the 1911 census. Lady’s Lane: It is said that when the Dominicans Friars relocated to Baker Place in 1815, the then Corporation objected to the parading of the statue of Our Lady through the main streets of the City. To overcome this, the statue was taken to the new church through this lane and it is known since then as Lady’s Lane. Lansdowne Park: was named after William Petty (1737 -1805) the 2nd Earl of Shelburne and 1st Marquis of Lansdowne who owned a substantial portion of the land located north of the Shannon and between the Shannon River and Thomondgate. He was a direct descendant of William Petty, the Surveyor General, who prepared the Civil Survey of 1654 and who was granted these lands for services performed in the Down Survey. Laurel Hill Avenue: Near Laurel Hill School. Lee Estate: named after the former Parish Priest of St. Mary’s Parish Monsignor P.J. Lee, in which this estate is located. Lenihan Avenue: named after Maurice Lenihan (1811-1895), the famous Historian of Limerick who was Mayor of Limerick in 1884. Liddy Street: this is a Henry Street Extension named after the late Joseph P. (Rory) Liddy, who was Mayor of Limerick in 1958 and 1970. 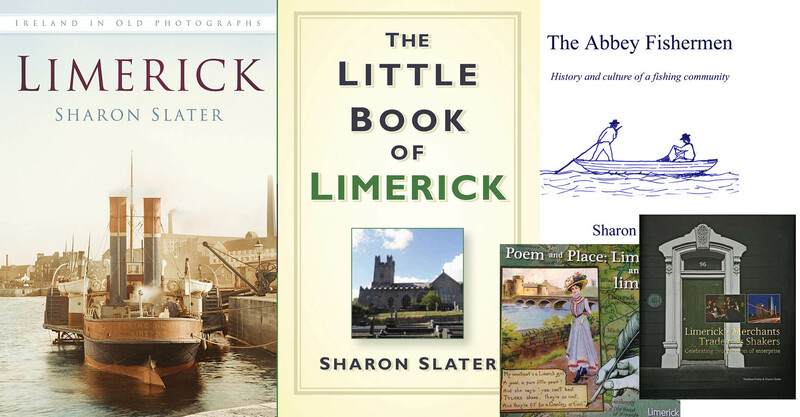 Limerick Port : Located on the Docks. Lock Quay: (formerly Wilson’s Quay) was constructed in 1765 and located near both the canal lock and the Lock Mills, hence it’s name. Long Avenue: Located near the Mount Saint Alphonsus Church on Henry Street. Long Can: owes its name to Joseph Lancaster, a London born Quaker, who established a non-sectarian school there around 1806. The name is a corruption of the word Lancastrian (Lancan). Longpavement: (formally The Causeway) extends from Thomondgate towards Parteen. Lord Edward Street: is named after the Commander-in-Chief of the Army of the United Irishmen, Lord Edward Fitzgerald (1763-1798). Fitzgerald Place is also named after him. Loughlin’s Lane: was named after Patrick Loughlin who owned a number of houses in this lane. Lourigan’s Lane: Located in the O’Connell Avenue area of the city, located off Cashel’s Lane in Thomondgate. Love Lane : Located in the old Englishtown area. Lyons’ Quay: (now Howley’s Quay and part of Harvey’s Quay). This name appears in an 1827 map of Limerick and probably has a connection with the Lyons of Croom, who were millers around that time and who may have imported grain through this quay.